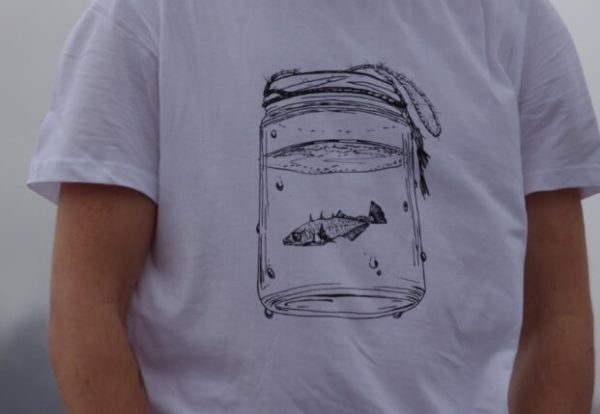 The Stickleback T-shirt is 100% soft white organic cotton. 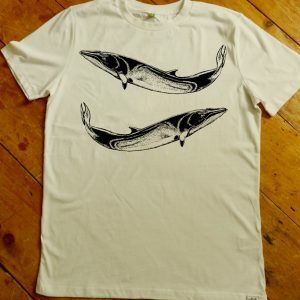 It’s made in an ethically accredited wind powered factory and printed with animal friendly inks. 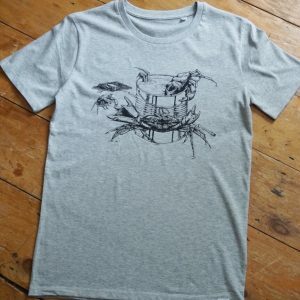 The Design for the Art work on this T-shirt was inspired by childhood memories of pond dipping and finding sticklebacks. 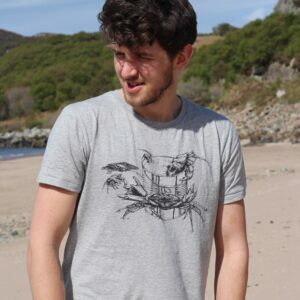 We are delighted to be donating 10% of profits from the sales of this T-shirt to the Freshwater Habitats Trust. For more information on pond dipping take a look at the Freshwater Habitats Trusts website. 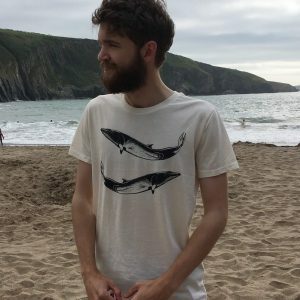 T- shirts are a standard fit take a look at the size guide. We aim to get your order posted within 48 hours Mon-Thu. Items ordered at the weekend will be dispatched on a Monday.